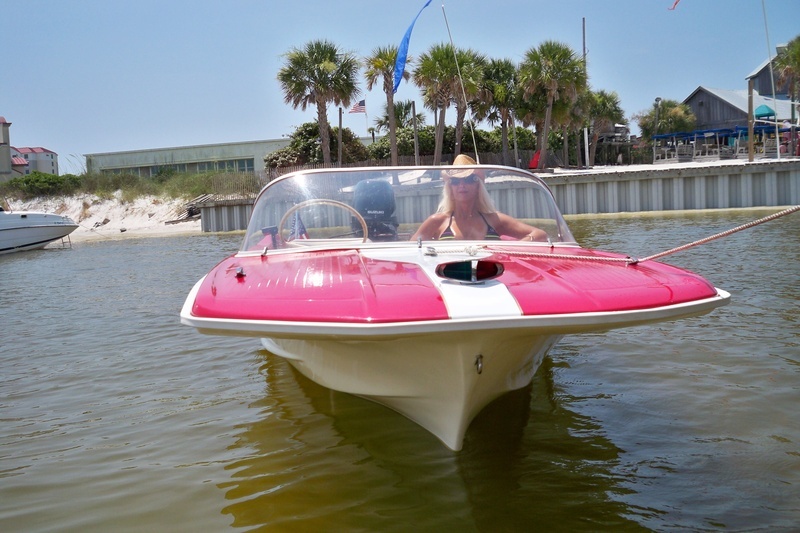 Hey john, just saw your post..I stand corrected it is a 1964, Speedray....It has been in Florida since restoration in 2009. Nice boat. Was this boat on Senaca Lake about five years ago? Had a uncle that had a 14' cat racer in 1962 powered with a 80 hp Merc. Was running about 51 mph. Been looking for one with no sucess. Anyway keep it up.